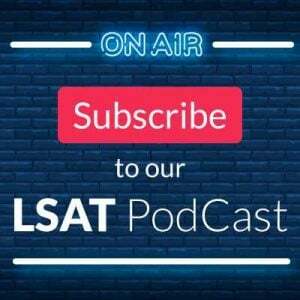 The episode begins with a quick rundown of the latest news—from Dave’s current Vegas adventure for March Madness to an update on the college admissions scandal and finally a look at the week in the LSAT World—before turning to the night’s central theme: using the final week before an LSAT to prepare for outlier elements and oddball scenarios. Specifically, Jon and Dave focus on two of the most obscure LR question types, Cannot be True and Evaluate the Argument, teaching you how to solve them, the value in getting them right, and where to find more for further study. 0:00 to 5:49: Episode 8 kicks off with some St. Patrick’s Day nostalgia, as Jon and Dave each raise a glass of Guinness and toast all things March Madness: from the LSAT next weekend to the start of the NCAA tournament (which Dave is currently enjoying in a Las Vegas sportsbook). They’ve also chosen a song that’s fitting on several levels, The Clash at Demonhead’s Black Sheep. Granted, that’s not a real band—it’s a fictional group from the movie Scott Pilgrim vs the World—but current Captain Marvel herself Brie Larson plays the lead singer (and recorded the vocals you hear in the film! ), and the theme of tonight’s discussion focuses on LSAT “black sheep,” particularly the two most obscure, outlier Logical Reasoning question types, Cannot Be True and Evaluate the Argument. 5:50 to 11:37: Before the conceptual discussion begins, Dave and Jon take provide a brief update on the still-developing college admissions scandal, particularly on new information that’s come out about the students’ involvement and what consequences they’ll likely face. 11:38 to 14:44: Next is a quick look at a fairly uneventful week for LSAC, where only a Law:Fully blog was postedand some new data on scoring and applicant statistics were released. 14:45 to 16:29: Here you’ll find an overview of this episode’s central purpose: to provide students with the final, rarely-appearing elements to review as test day approaches, and some strategies for two LR outliers to help you tackle them. 16:30 to 24:29:Before getting into the specific LR topics, the guys talk games. There are three game types that, while infrequent and unlikely, could still appear on your exam, and thus you’d be well-served to give them some last-minute attention: Circular, Mapping, and Pattern. Take a look at this blog post for a list of every Circular, Mapping, and Pattern game in LSAT history! 24:30 to 49:39: The discussion of LR outliers begins with a look at Cannot Be True questions. While a seemingly straightforward notion at first glance, Cannot questions tend to be harder than people realize. Jon and Dave talk solution strategies, where to find more Cannot scenarios for practice, and the immense value in understanding this type (beyond just the 1-2 questions/test you’re liable to see). 49:40 to 1:18:17: Next comes the rarest LR question type of all: Evaluate the Argument! Evaluate questions have made a modest resurgence in recent years, such that, while still minor players, you’re likely to see at least one on test day. 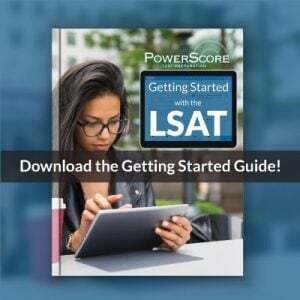 To prepare you for it—and to demonstrate bigger-picture skills at work in Evaluate—Dave and Jon examine the odd task presented, outline a powerful answer choice test to apply, and even deconstruct an actual LSAT Evaluate question from LSAC’s free, public software (September 2014 LR2 #6; found in the Logical Reasoning problem set here). Then, as with Cannot, they give tips on how to continue practicing with Evaluate, and the tremendous benefits gained by doing so. 1:18:18 to 1:19:53: Outro. Be sure to subscribe, leave us a rating, and send us any questions or topics you’d like us to cover in a future episode: lsatpodcast@powerscore.com. We appreciate you listening! Thank you and today April 12th 2019 I listern to this a second time. That pivotal moment of discovery occurred and I really appreciate it especially with the Evaluate questions which can take on so many dimensions and I have to be really attentive to this fact and perform well, I hope on the LSAT and for this Mr. Jon and Mr. Dave, thank you and good weekend. Your sample here of just 2 PTs is far too small to create a trend 🙂 Plus, the question type by itself wouldn’t dictate an error in interpreting the stimulus and none of the strategies leads to a trap answer. So what I would suggest here is posting into our Forum on the questions that caused you an issue, so we can see what you are referring to (the blog is not the best location for detailed discussions of individual problems!). That would help us analyze where you are going wrong. Perhaps it was just 6! It seemed like more, but in our old system, we could neither quote initial questions, edit our responses nor have live links, which made it quite difficult to reply to multiple questions within a single thread. This is why we always say use our discussion forum for anything complex since we can then really isolate each part and provide a focused response 🙂 Thanks! Always informative and witty and entertaining. Thank you Mr. Jon and Mr. Dave. I left a long message asking questions very specific and apologies if too verbose? I believe it was on PodCast 7 on the crystal ball prediction early this month of March 2019 ( might have been before, I ask a lot of questions apologies) about the current test coming next weekend. I always appreciate your responses and it helps me a great deal. Thank you and have a great weekend. Thanks for the message! The post you made contained so many questions and comments that we couldn’t effectively answer it in our blog comments unfortunately. Plus, we’ve also switched to a new blog format in the past week, so all prior comments are being moved across to this new format now. 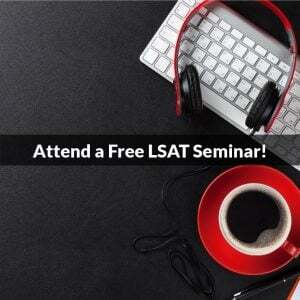 Between those two occurrences, it hasn’t been answered yet 🙂 What I would suggest, however, is posting it on our LSAT Forum, at https://forum.powerscore.com/lsat/. If you separate out the comments into various topics, we can begin answering them piece by piece, which is far easier than trying to answer one post with 15-20 questions. Thanks so much! We do, thank you. Too correct you it was at least 6 questions no more than that, I know how many I asked . But apologies if 6 is too many. However, thank you Mr. Dave as always your positive responses to me.